Oakville Choir for Children & Youth: Raise Her Voice (Oakville, ON). Founded in 1994, the Oakville Choir for Children and Youth (formerly The Oakville Children’s Choir) is made up of seven different choirs. Holding fast to our mission as a welcoming, professional and innovative community that provides exceptional music education, leadership development and performance opportunities, we are a comprehensive music education program for over 200 auditioned choristers ranging in age from 4 through 25 years. ‘Raise Her Voice’ (RHV) Chamber is the home for more experienced female singers who have achieved a high level of vocal and musicianship skills. RHV Chamber is known for its very high standard of artistic interpretation and performance excellence, while also creating a space where young female leaders feel confident raising their voices in song and in the world. RHV Chamber choristers serve as musical ambassadors throughout our community. Their activities also include participation in our inclusivity program, which is a two-fold initiative: a partnership with ArtHouse of Oakville and ErinoakKids Centre for Treatment and Development, as well as our own ‘All Voices Together’ program, open to all children who wish to sing. Through a mentorship approach, our choristers are encouraged to contribute artistically in rehearsal and performances through collaboration, improvisation, and idea sharing. 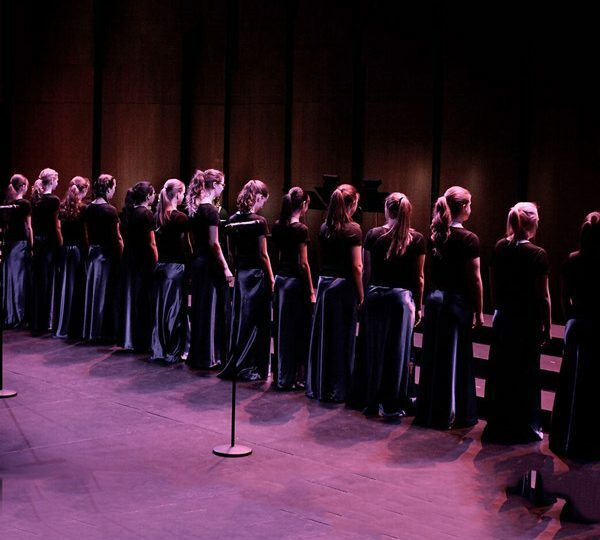 RHV Chamber has consistently performed well at national and international competitions, being judged at Gold Medal level at the International Choir Olympics in 2004 (Bremen, Germany), World Choir Games 2012 (Cincinnati, OH) and 2014 (Riga, Latvia), amongst many other national and international competitive successes. Dr. Sarah Morrison is the Artistic Director of the Oakville Choir for Children and Youth and the Director of Learning and Teaching Innovation at Appleby College. A passionate educator, she serves as an adjunct faculty member at Queen’s University teaching courses in the Faculty of Education. Her choirs have won awards at international levels including a Gold Medal at the 8th World Choir Games in Riga, Latvia. Dr. Morrison is known for her energy and creativity in working with young voices. Dr. Morrison is the 2010 winner of the Leslie Bell Award for Choral Conducting awarded by the Ontario Arts Council. She writes the Youth Choir column for Choral Canada’s Anacrusis and served the board of Choirs Ontario as the Vice-President. Dr. Morrison sang soprano with the JUNO-nominated Canadian Chamber Choir for the past decade and is a frequent conference participant.